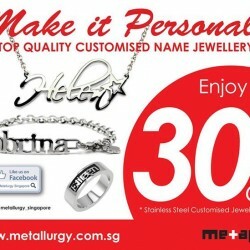 Enjoy 30% off stainless steel customized jewelry for the usual price of SGD75.00, now at SGD 52.50. Purchase Now Before Sale End!!! 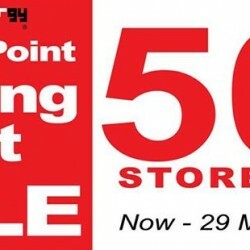 Jurong Point Moving Out Sale! Get 50% OFF Storewide at Metallurgy. Now till 29 March 2015. Check out Metallurgy's 2 DAYS FACEBOOK EXCLUSIVE SALE! 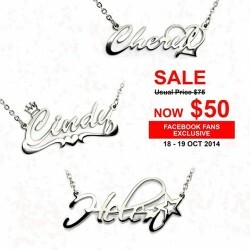 Get your Name Jewellery Pendant at special price, usual price SGD75.00, now at SGD50.00! Use coupon code Click to show coupon during checkout! Metallurgy is having a 2-day web exclusive flash sale! Offering 35% off all regular M+Y Jewelry with a coupon code. use coupon code Show Coupon during checkout! 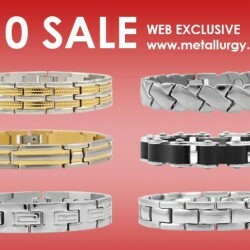 Metallurgy is offering Chic Stainless Steel/Titanium Bracelet going at just $10 each!